Lotto Machine is the first lottery random numbers generator based on physical emulation. Make your own draw at your iPhone or iPad and get total random numbers. 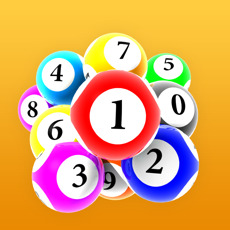 This is a lottery number calculator or random number calculator help you pick random number. This Lotto machines simulate gravity pick number out of 10 numeric balls in 3D view. - Random pick ball number base on rotating wheel. - Animated drawing process made the picking more exited. - Able to switch camera view angle. Use for lucky number drawing while preview the number picking outcome one by one.